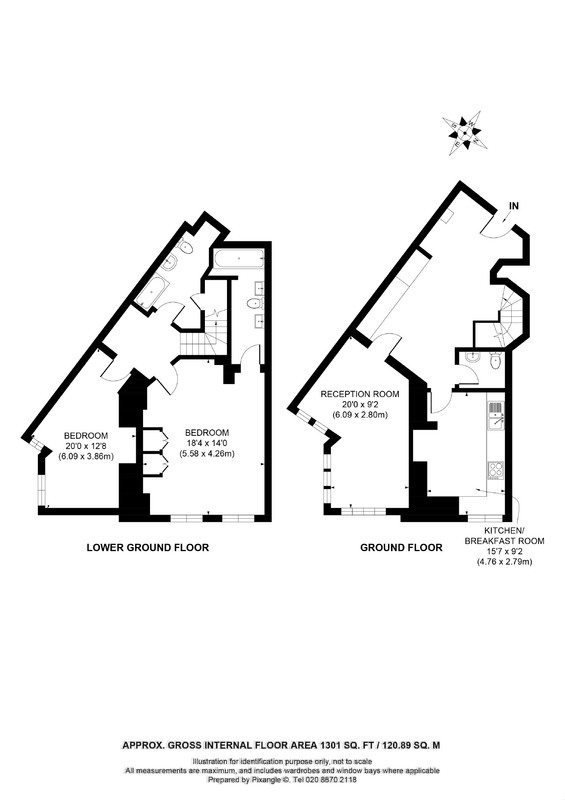 SOLE AGENT - An extremely spacious two bedroom (1301 Sq Ft), two bathroom duplex apartment. The apartment comprises of two double bedrooms, one with ensuite, large reception and separate kitchen. This apartment requires modernisation and so makes an ideal purchase for someone looking to use the vast space to put their own stamp on the property! The apartment is situated on the raised ground and lower ground floor of The Octagon, benefiting from a designated parking space and excellent location close to the o2 centre on Finchley Road and bus links into central London. The Estate Company are specialists in residential sales, rentals and management covering St John’s Wood, Maida Vale, Little Venice, Regents Park, Marylebone, Hampstead, Belsize Park, Primrose Hill and West Hampstead.